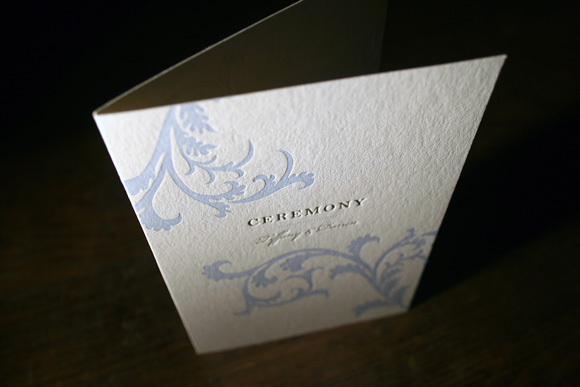 RSVP Today helped us transform our classic Altar design by updating all of the printing to our tawny matte foil. 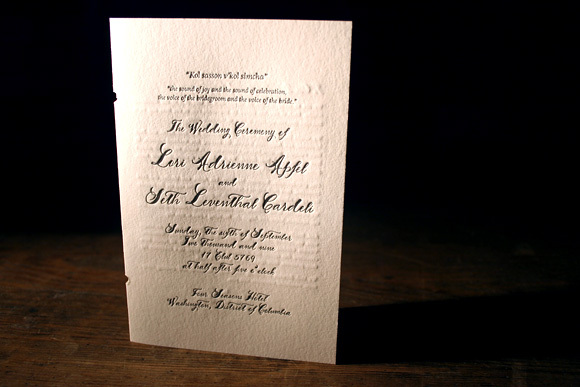 The foil stamped sleeve is enhanced with a classy duogram and cartouche. 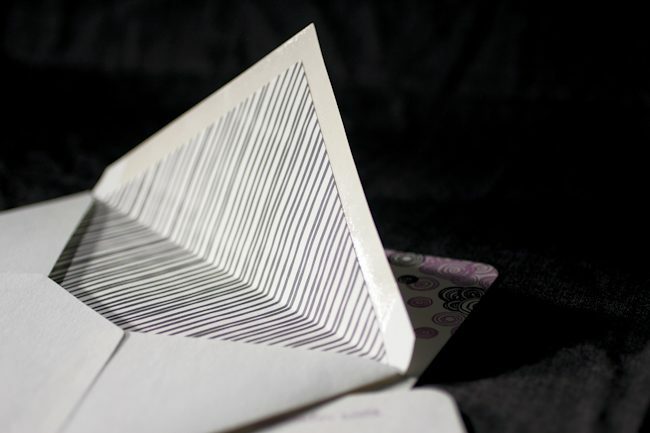 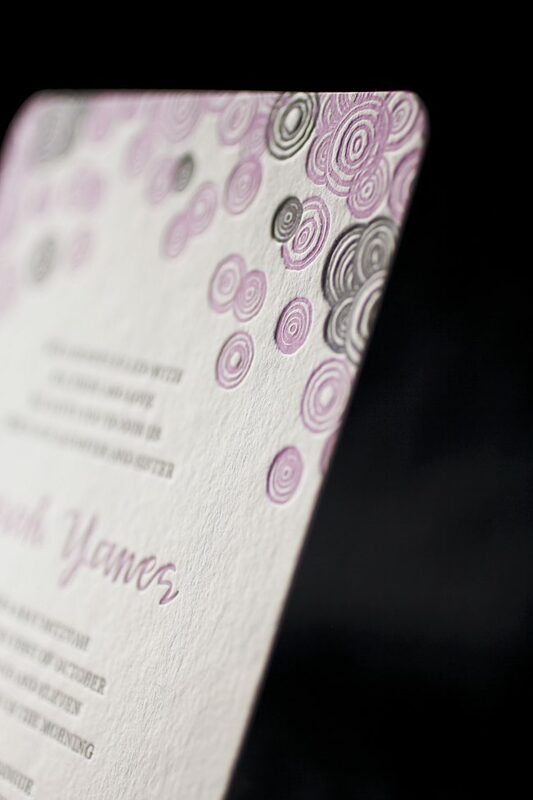 We love the way that the top of the invitation border looks as it fits perfectly into the sleeve adding just a touch of mystery. 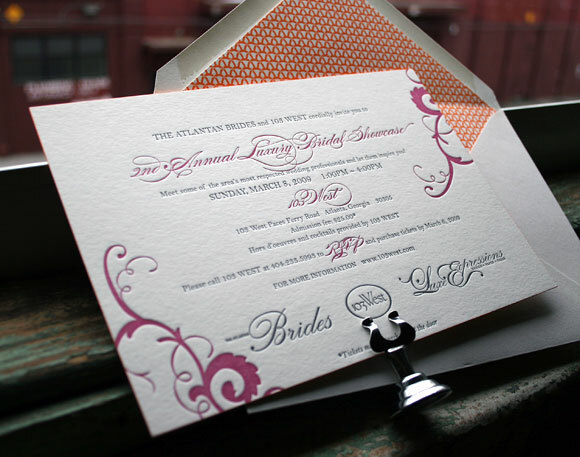 We were excited to print this custom artwork submitted by RSVP Today. 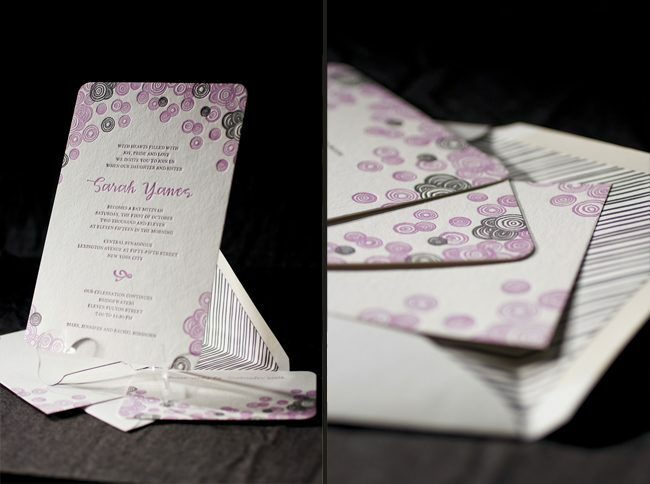 The whimsical floral pattern paired with our Plymouth die really enhances the overall look of the invitation. 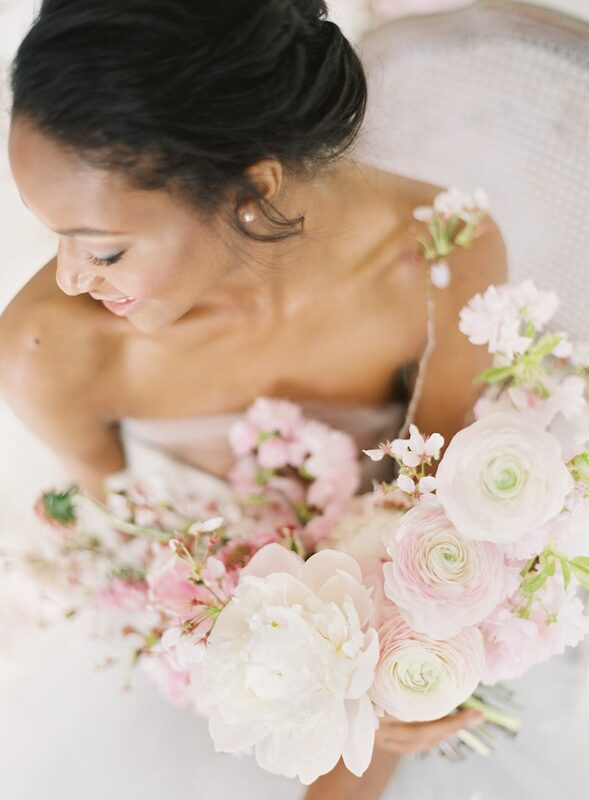 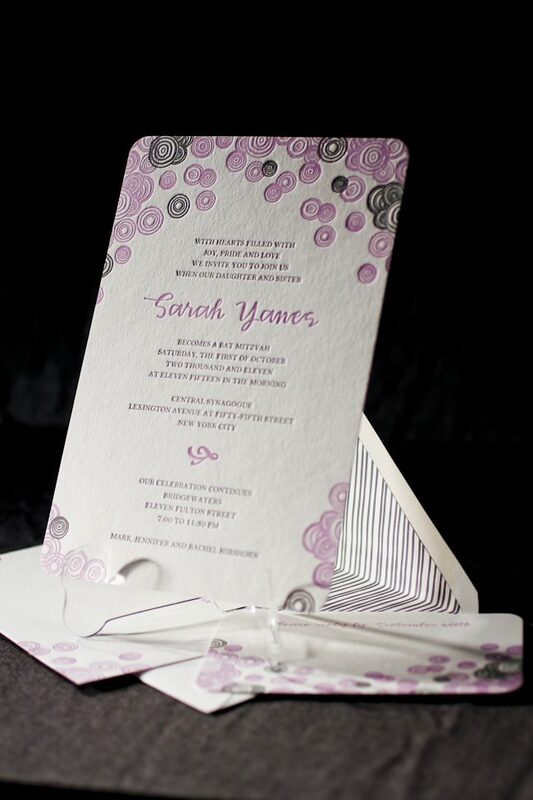 The additional pieces are charming and perfectly correspond with the invite in the sweetest color palette. 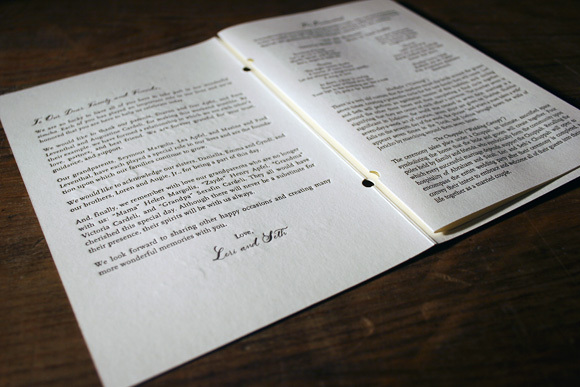 Our wonderful friend, Deborah at RSVP Today in New York City submitted these beyond charming Hekla baby announcements to us for printing. 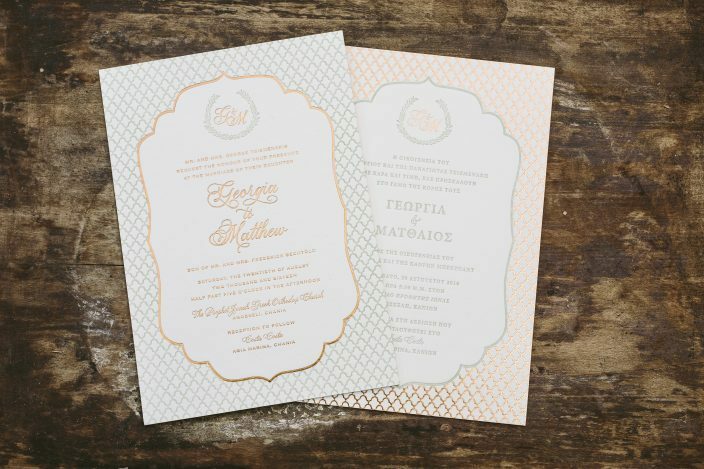 What we really adore is the dove ink as a beautiful soft flood of color against the eye popping persimmon ink used for the text – these are looking edgy. 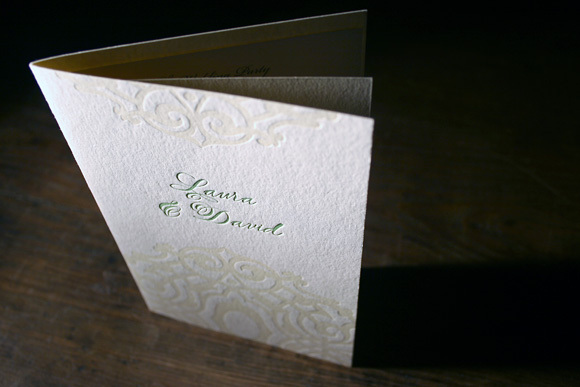 These are a stand out piece all their own – and we also printed one color thank you cards – matching back to the baby announcements. 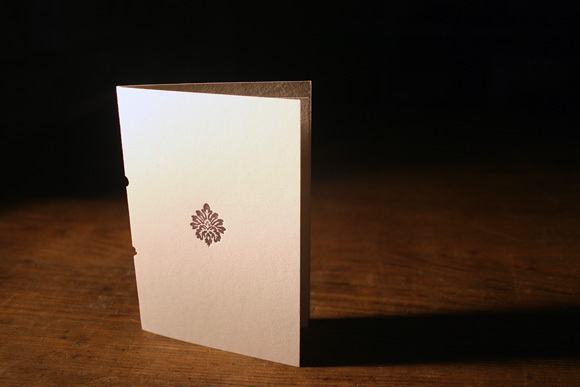 Huge CONGRATS go out to the proud parents welcoming the arrival of their new baby boy! 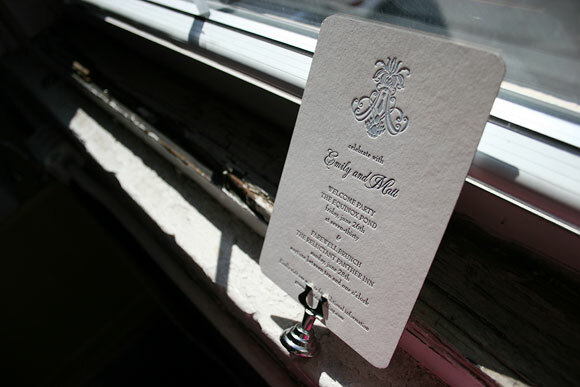 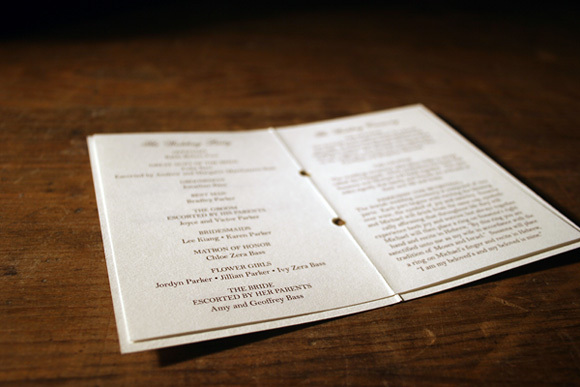 At Smock we are no strangers to printing incredible customizations of our letterpress wedding invitations brought to us by the great stores we work with, but recently we’ve also been lucky enough to print some fabulous customized invitations for a wide range of other occasions. 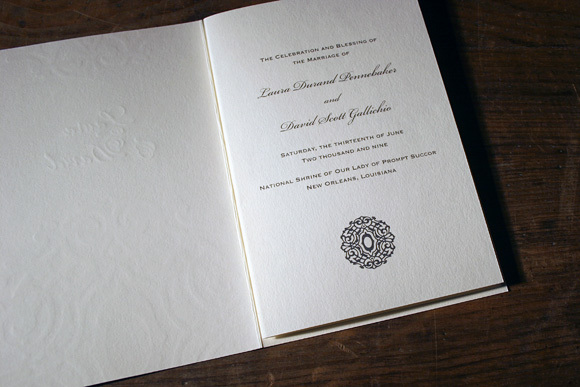 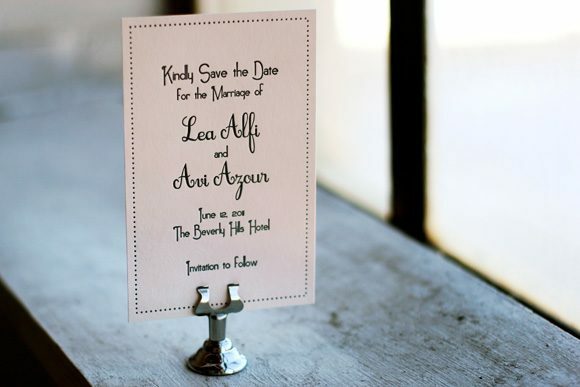 We love the idea of adpating a wedding invitation design for other events because really, letterpress is gorgeous for any celebration, isn’t it? 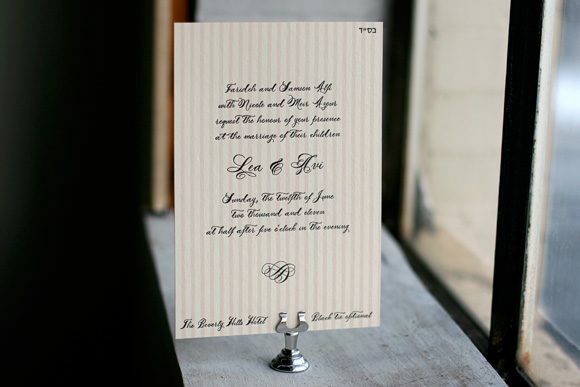 This version of our Kurai design, brought to us by RSVP Today in New York City, is updated in papaya and silver inks and includes Hebrew text for a result that is youthful and elegant. 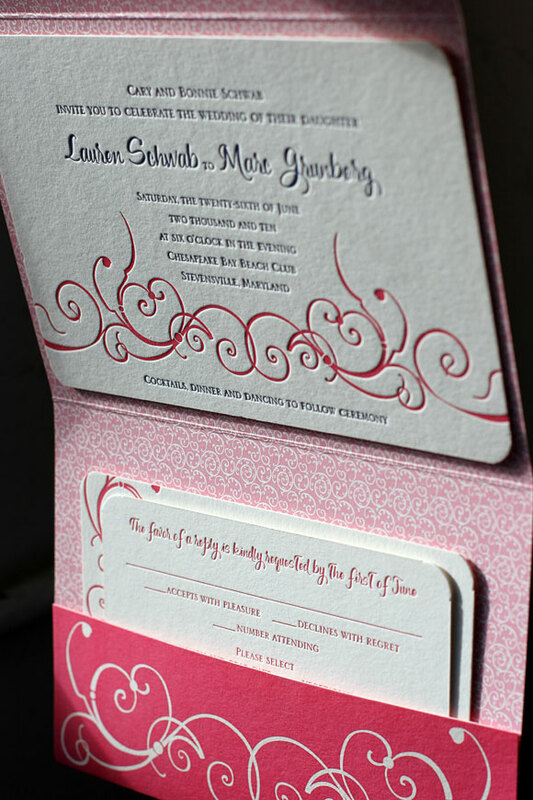 We love how a simple pop of bright color, along with our Beaumont serif font, changes the look of the design so dramatically and makes it so perfect for inviting loved ones to celebrate a Bat Mitzvah. 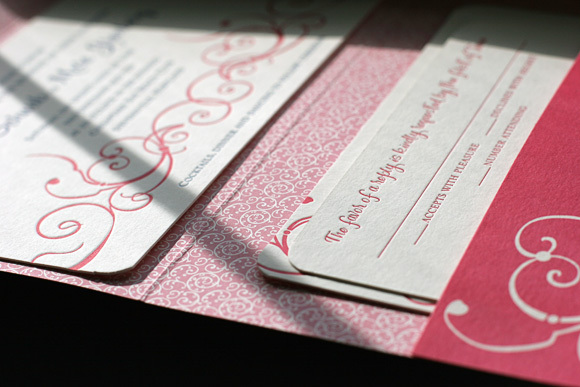 We love this take on the original Helani letterpress design customized as a perfectly adorable baby announcement, a variation on the Helani reception card for a client of Kustom Kreations in Lincolnshire, Illinois. 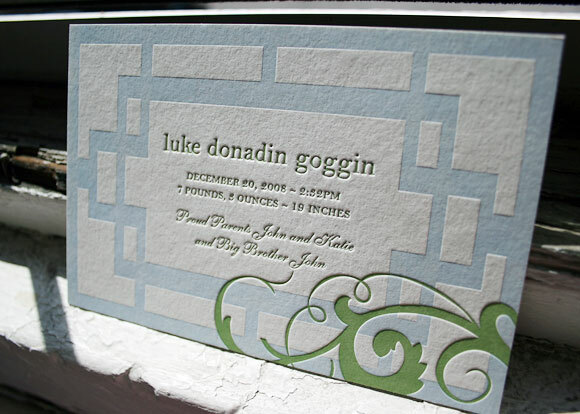 Printed in clover and lake inks, with the addition of the very sweet Etienne script font, it’s bright and fresh and the perfect way to celebrate the birth of a beloved little one. 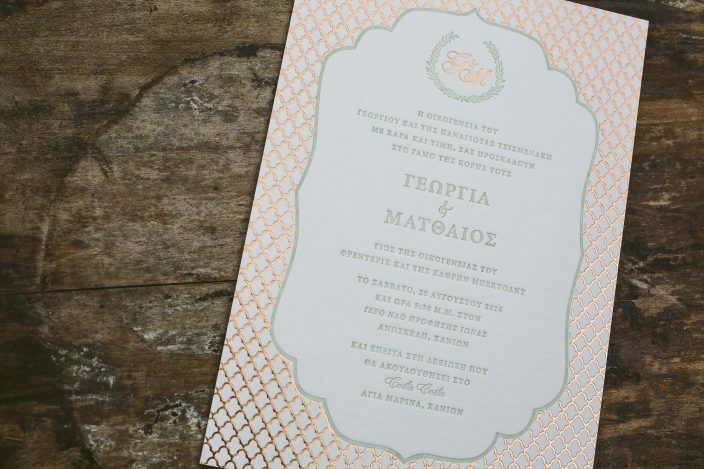 Printed for Luxe Expressions in Atlanta, this invitation is for a bridal showcase hosted by The Atlantan Brides, and boasts bright raspberry and pewter inks with tangerine edge painting in a custom design based on Helani. 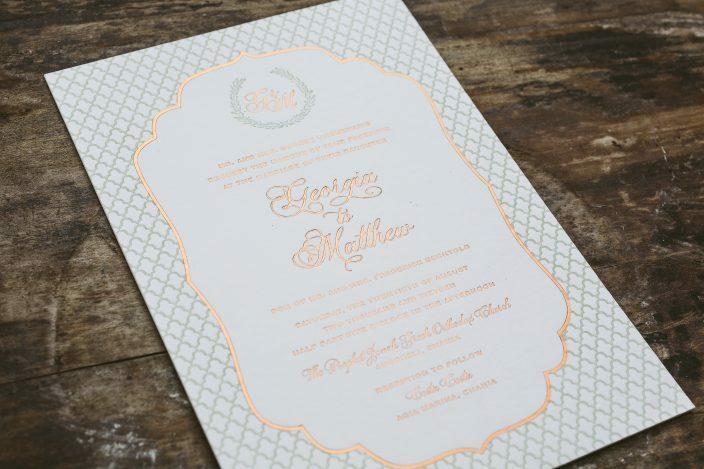 The cheerful envelope liner is our Oesa pattern in fun tangerine ink and together it makes for a truly festive invitation. 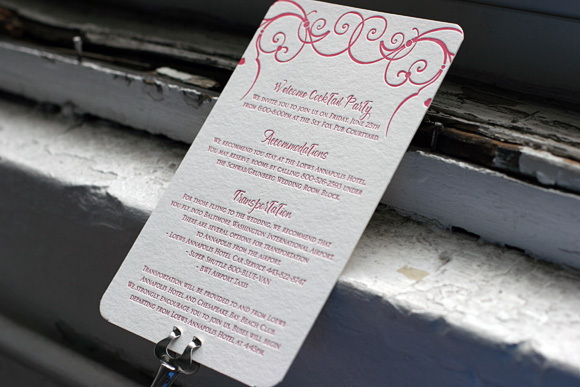 We love this use of a bold and bright letterpress design for a coporate event. 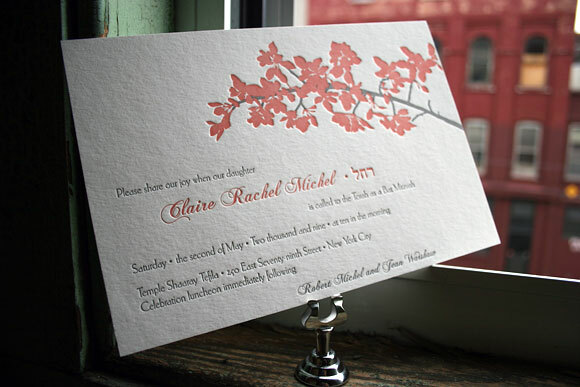 Sweetly printed on our Ellie note card from Smock’s social line, this baby shower invitation is truly adorable. 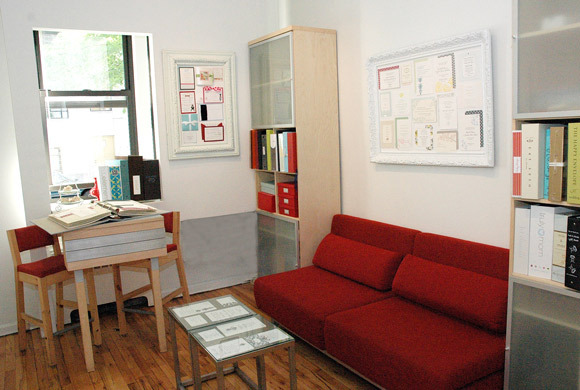 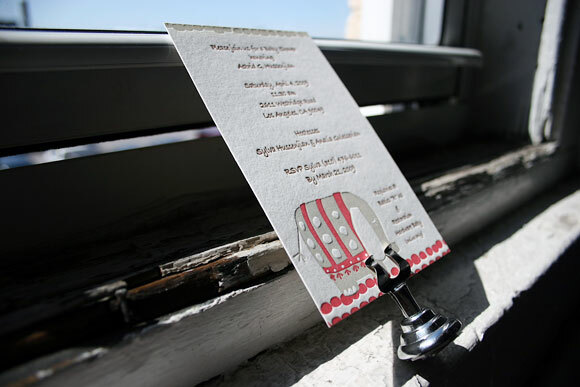 We can think of no better way to invite guests to celebrate the upcoming birth of a new loved one. 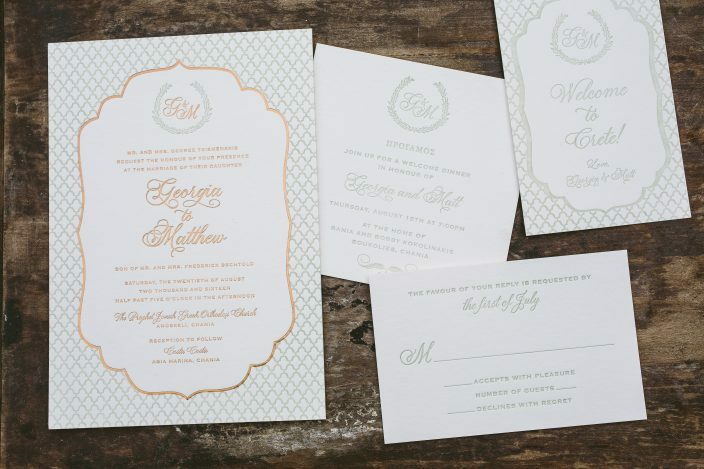 This version of Nevis was printed in lake and midnight inks for a farewell brunch and features edge painting in gold, which we absolutely love. 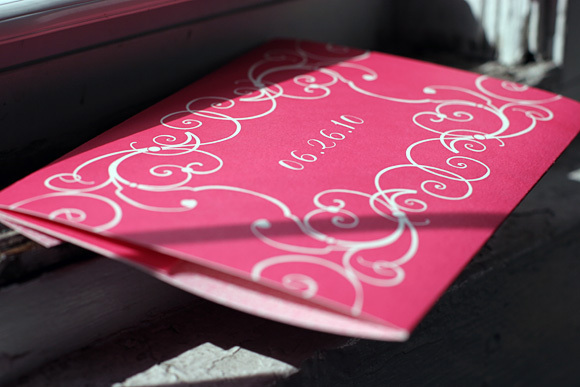 Printed at our Save the Date size, the invitation is perfect for inviting loved ones to celebrate good food and good cheer and was brought to us by Arabesque of Naples in Naples, Florida.